On 31 August 2010, its Merdeka Day! Its public holiday and we planned to visit pinky's organic farm - Uncle Weng Organic Farm at Bukit Beruntung. There's a natural pool nearby! Not many chickens were left.. as the new batch are not coming in yet. 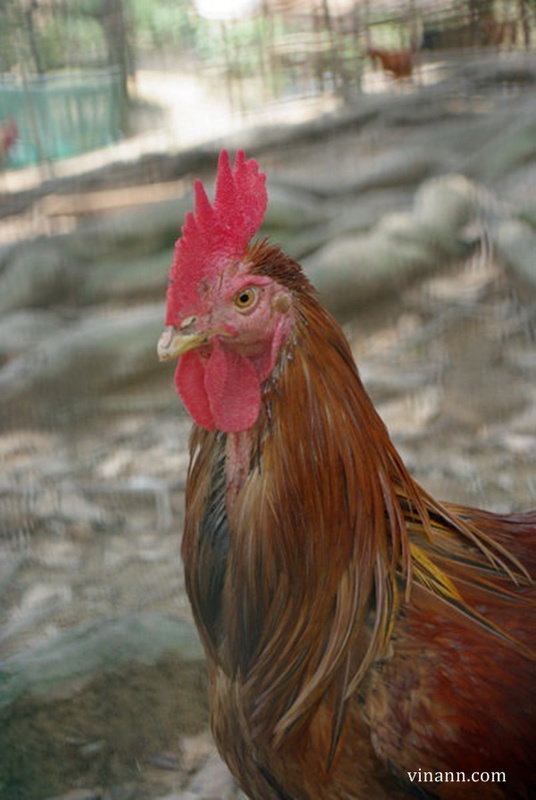 The chickens are freely walking around and minimum feeding period before selling are 6 months. Its freaking long 6 months! 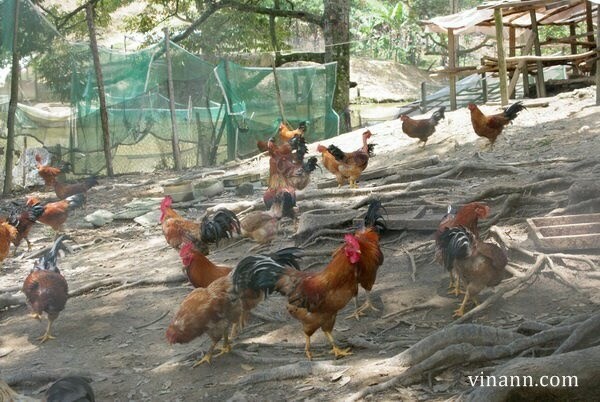 On types of chickens available, you can visit here: Uncle Weng organic farm. Also, how they preparing the feed for the chicken to eat. All the food are "cooked" and the chicken are eating 3 meal per day! The chicken here so lucky! Too bad, when we were there, its already noon. We missed out the process of how they preparing the chicken's food. 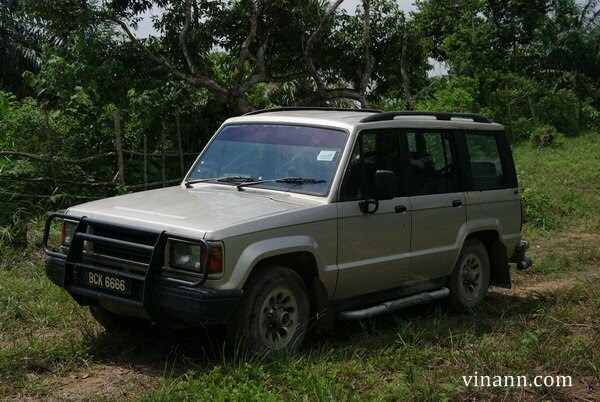 This is the 4WD... the driving skills posses by the uncle is KENG! Cute dog. The dog have fight with wild pork before and there's a injury scar on its body! Brave dog! Fish pond! But we were not ready that day. If we got the time, we can fishing here! The organic chicken cooked with herb and some wine added. Its were so delicious! I were told that, the organic selling by pink's are 1KG for RM70.00. The chicken meat were really nice! Something that totally different from other chicken meat. Its also taste different from the Kampung Chicken, this one are more meat! 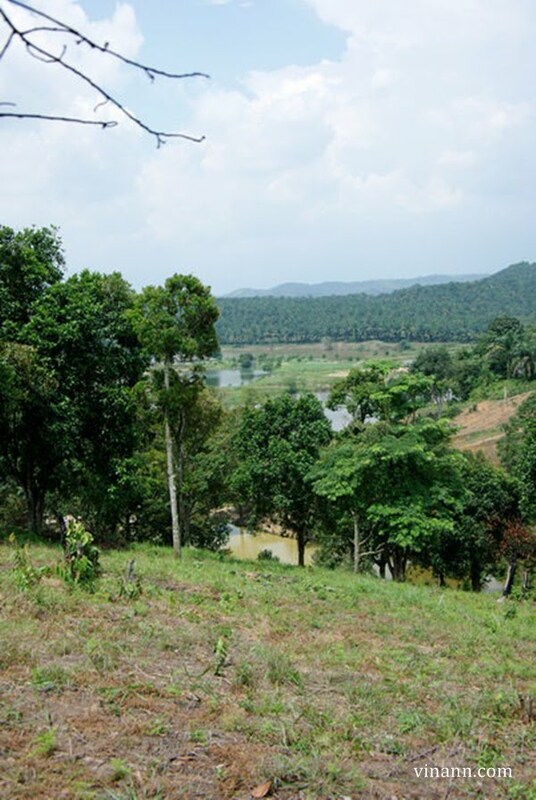 Looking forward another trip visit to the farm with hokkien thread gang to be leaded by Joy! 古早味, the old traditional culture from last century, if u ask those old folk age >60 years, they said is the taste they ate when young time. Our products were CERTIFIED by our customers' EYEs, TOUCH IT IN REAL. Wow! Organic chicken. Would like to know how to get there. What is the ct no. for Uncle Weng?